An early morning float and raft down the Rio Bravo in southern New Mexico. The Native and Mestizo history of the Rio Grande Valley flows down this historic river, which has been the lifeblood of many cultures for thousands of years. 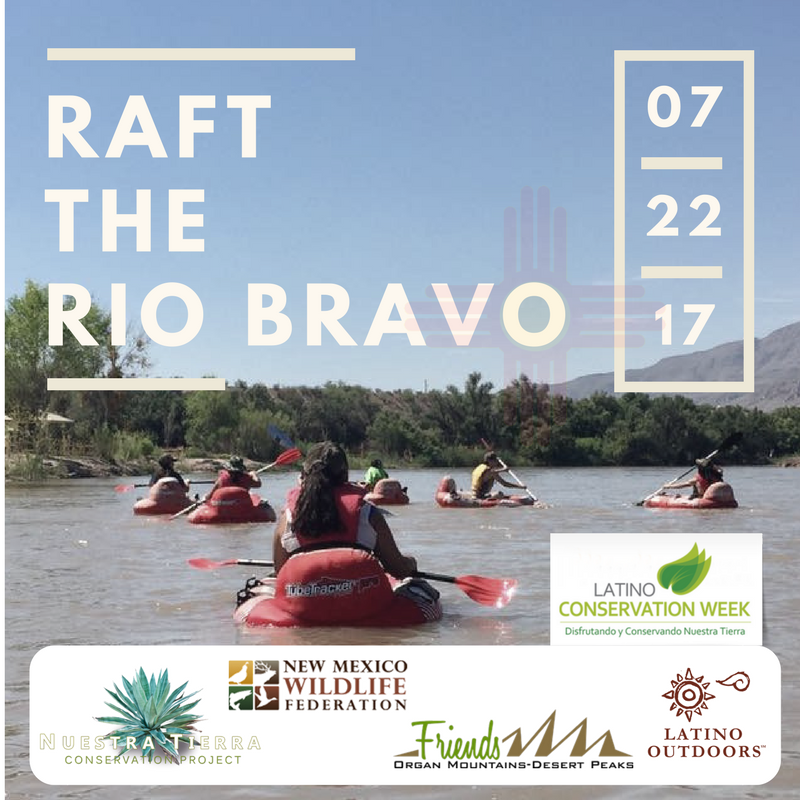 Participants will float and raft for 2 hours in front of the historic Robledo Mountains, part of the Organ Mountain-Desert Peaks National Monument. Questions: For Questions about this event, please contact Gabe Vasquez with New Mexico Wildlife Federation at 484-639-4534 or gabe@nmwildlife.org.